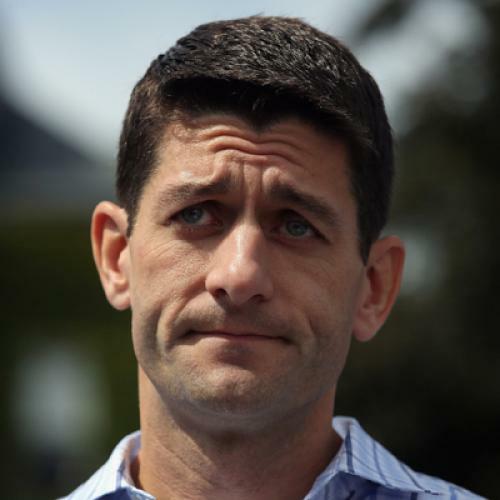 Am I the only one who’s still head-scratchingly, shoulder-shrugingly, stare-aimlessly-at-the-heavens mystified by the Paul Ryan pick? Any explanation for the selection has to grapple with Ryan's enormous liabilities: He is a congressman who’s never run for office outside his Wisconsin district. He is the author of a wildly regressive budget plan that voters soundly rejected the one time they weighed in on it. He is a rich white guy running with another rich white guy at a time when Republicans need to do something—anything—to boost their fortunes among women and minorities. By my count, there are four prominent theories for why Romney would have lashed himself to this hunk of kryptonite in humanoid form: 1. Romney just dug Ryan personally—he’s like the sixth son (maybe the seventh?) Romney never had. The kind of well-spoken, highly numerate young man Romney might have hired at Bain. 2. Team Romney decided to turn the campaign into a high-minded discussion of big ideas and—love ’im or hate ’im—no one has bigger ideas than Paul Ryan. 3. Romney needed to shore up his conservative base, and who better to help than the government-slashing darling of the Tea Party? 4. Romney was basically brow-beaten into it by conservative elites, who’d been nagging him about Ryan for weeks. Alas, none of these theories does much for me. Number 1 (personal chemistry) seems implausible given that it would be the first time Romney had ever made a political decision based on emotion rather than rational calculation. It's fine—arguably necessary—to tap someone you like. But who would do that if the person brought campaign-killing liabilities to your ticket? Not Mitt Romney. Number 2 (the high-minded strategy) seems implausible because the campaign team that brought you this ad—which CNN’s John King called “reprehensible”—and which has chronic problems finding facts to support its claims (see, for example, here, here, and here) was highly unlikely to suddenly seize the intellectual high-ground. In fact, at the very moment Romney was elevating Ryan to the ticket, he was running a plainly false ad accusing Obama of gutting welfare’s work requirements, a claim he’s continued to make despite pretty much every independent arbiter’s insistence on its falsity. In any case, if you’re casting your lot with high-mindedness, why not pick someone who matches Ryan’s reputation for big ideas—say, Indiana Governor Mitch Daniels—but without his huge liabilities? So where does this leave us? I can think of only two explanations that haven’t yet been aired, though I’m certainly open to others. The first is what you might call the white-guys strategy. As Jonathan Chait has pointed out, while the white share of the electorate has been steadily declining, and while the GOP almost certainly won't be able to win future elections by running up its margins here, the 2012 election may offer a final chance at winning on the backs of the oppressed white masses. Perhaps this is where Ryan comes in—since, as noted, he’s a white guy. Unfortunately for this theory, there were white guys Romney passed over who seemed much better suited to this task. For example, former Minnesota governor Tim Pawlenty isn’t just a white guy but a card-carrying alumnus of the white-working class. This is, of course, the white-people subgroup the Obama campaign is targeting most aggressively. That leaves one possibility in my mind, which I’ll call the run-toward-your-weakness strategy, after one of Romney’s favorite Bain mantras. The Romney campaign has recognized for months that Medicare, and the Ryan budget more broadly, is one of its big challenges. Obama clearly signaled his intention of wrapping these around Romney’s neck as early as April, not long after Romney talked up the Ryan budget on the eve of the Wisconsin primary. In response, Romney hoped to put some distance between himself and the Ryan plan. True, both Ryan and Romney have endorsed a version of “premium support,” in which seniors would get a voucher for health insurance rather than a blanket guarantee to cover their medical expenses. But Ryan has laid out specific numbers—numbers that fall far short of what insurance would cost seniors—whereas Romney has been exceedingly vague. Meanwhile, whereas Ryan cuts over $700 billion in Medicare spending on payments to hospitals, nursing homes, and insurers—the same cuts Obamacare made—Romney has vowed to restore the cuts, arguing that they're harmful to seniors. This was mostly right. But Kristol and Hayes missed the one scenario in which Romney can run away from the Ryan plan with complete impunity—the scenario in which Ryan is his running mate. Upon joining the ticket, Ryan pretty much had to eat whatever Romney decided to serve. Suddenly Romney was the boss, and Ryan was clearly the number two. These marching orders have not been lost on Ryan. The same day as the second CBS interview, the running mate was in Florida attacking Obamacare for “raiding” Medicare to the tune of $716 billion—almost exactly the same $716 billion he’s proposed cutting from the program. Suffice it to say, it’s hard to imagine Ryan leveling similar charges were he not on the Romney ticket. But such is life for a running mate. Having said all that, I’m still slightly confused by the Ryan pick. My gut says the Obama campaign will eventually mount its own Medicare attack—the counter-counter-offensive—which will prove pretty effective and help Obama win by a bigger margin than most pundits expect. But the benefits of the run-toward-your-weakness theory are that it: 1. accounts for the previously unaccountable, which is why Romney would pick a running mate who appears to hurt him; 2. is based on an asset that’s unique to the Ryan selection (co-opting a potential skeptic), as opposed to an asset (like being a white guy) that’s evident in many other candidates; 3. reflects rational thinking; and 4. is built on a logic that’s working at the moment. In fact, most recent polls show Obama and Romney roughly tied on the question of who would handle Medicare better (see here and here), something few of us were talking about before the Ryan pick. It’s enough to make you admire the Romney campaign’s handiwork.